When I arrived in Baia Mare in January it was like I had walked into a snowy white fairy tale. The whole streets were covered in inches of snow! Being from an island where it doesn’t snow I was ecstatic to see it for the first time. Well, that enthusiasm lasted until I got out of the warm heating of the minibus and into the minus–degree weather. Nonetheless, I couldn’t help but smile every time I walked outside the door into the white streets… with 10 layers of clothing on me. Now that the snow has melted away and the sun has been making a more of regular appearance I get to see more of the beauty Romania holds – especially its lakes and most stunning sunsets. And even though I still have many more places to visit and discover in Romania, I can’t help but fall in love with it every day that goes by. Not only because of its kind people, different traditions, and amazing food (mainly placinta, papanaşi, and covrigi! ), but also because of the work I get to do here and the different people I meet. My project in Baia Mare involves working with disadvantaged groups across the city. Together with my amazing team, I get to create interactive activities of non-formal education with these groups. Developing such activities is not always a smooth-running process as we do face some challenges when trying to target everyone as equally as possible. Nonetheless, we try our best to come up with solutions to work through any problem we encounter (of course, with the help of Pinterest). However, I know that the job I am doing is making a difference by the smile we put on the faces of the people we help. I am always greeted with the biggest smiles from the people at Esperando, cheers from the children at the Art School, kind hellos at Assoc, and the biggest and most energetic hugs from the kids at the orphanage. I can say that these past two months have been a challenge but it is a challenge I am most grateful to be part of! I am looking forward to what the next two months hold for me. I would recommend to anyone thinking about doing a similar experience to mine to stop thinking and start doing. You not only help the people within the community, but you also allow yourself to grow and continuously learn. You will get the chance to build friendships that will last a lifetime, create stories of your own, discover new places, and enrich your life. I will never stop learning from this experience, and hopefully from others to come in the near future. “Until you step into the unknown, you don’t know what you’re made of” – Roy T. Bennett. 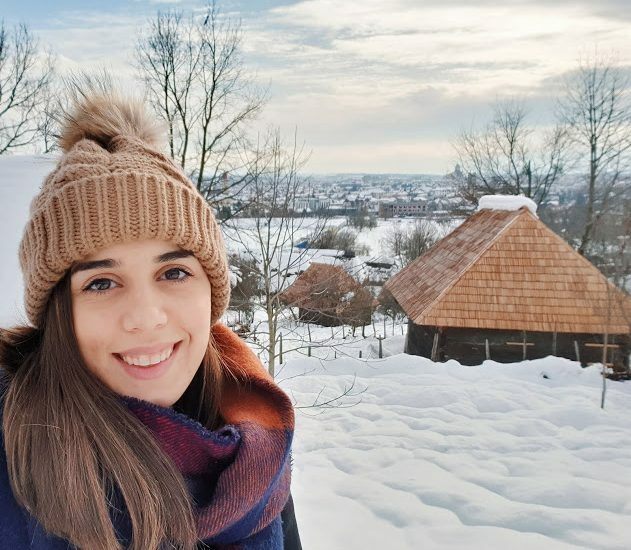 Jolin is a Maltese volunteer and she takes part in the “SEV 4×4” project which is an European Voluntary Service financed by the European Commission through Erasmus Plus program. The content of this article does not reflect the official opinion of the European Union. Responsibility for the information and views expressed in the article lies entirely with the author.